"About Hotel Atithi, Aurangabad Hotel Atithi is one of the most affordable classy budget hotels in Aurangabad. The hotel is laced with all state of the art amenities and comforts of highest order. The placid ambiance of the hotel is favored by globetrotters from all nooks and corners of the world. As the name suggests, Hotel Atithi believes in the old saying 'Atithi Devo Bhav' i.e guests are equivalent to God. And it shows in their warm hospitality and manicured services. The hotel offers unparallel and unforgettable experiences to its guests. Built to deal with the diverse needs of the business and pleasure guests, the Hotel Atithi in Aurangabad captures special attention among all the 3 star Luxury Hotels in Aurangabad. Enjoying one of the most advantageous locations in the city, this hotel tries to give the comforts of both the worlds to the guests. Its endeavor to cater to all the demands of the travelers and that too at economical prices, deserves extra mention. The rich ambience, warm hospitality and amazing facilities are the highlight of this magnificent hotel." Attached Bath with Running Hot & Cold Water Air conditioner and dial up - wireless internet access, Direct dial Telephone, Cable TV etc. The multi cuisine restaurant of the hotel offers a range of delectable cuisines. 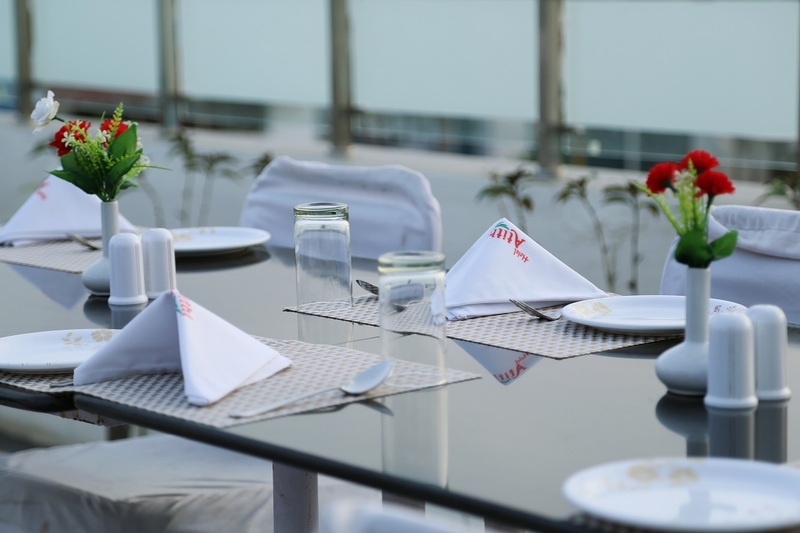 The 'Roof Top Restaurant ' serves a number of mouth watering dishes from across the globe. The other facilities that the hotel offers are Credit Cards Accepted, Swimming Pool, Banquet, Bar, Car Rental Service, Conference Facilities, Courier, Money Changer, Doctor on Call, Telephone, Fax on Demand, Laundry Facility, mini waterfall, Medical Facilities, Newspaper in Room, Reception, Multi-cuisine Restaurant, Secure Parking, Standby Generator, Travel Desk Service etc. Hotel Accomodation & Facilities The rooms can be categorized in to deluxe rooms, pool rooms, executive rooms and suites. All the rooms and suites are opulent, classy, well furnished, beautifully adorned and homey.